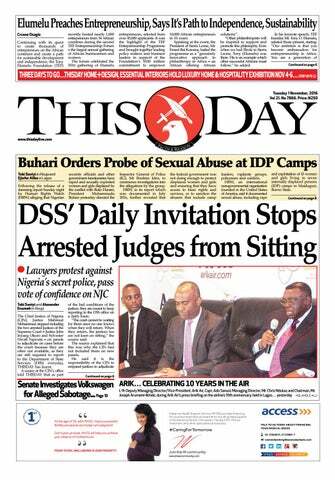 It is with great dismay that we read a publication on page 16 of THISDAY newspapers’ edition of 14 June, 2016 in which the All Progressives Congress was reported as serving a political and subterranean interest in the succession process to the office of the Chief Justice of Nigeria and thereby engaging in attempts to manipulate the judiciary to its advantage in preparation for the 2019 general election. 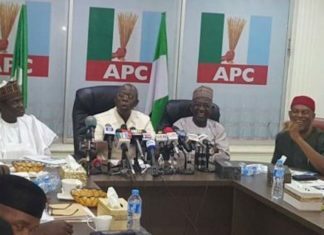 It is quite disheartening to read in the said publication certain insinuations voiced therein suggesting that at a press conference held on the 21st day of May, 2016, I, Dr. Muiz Adeyemi Banire (SAN), on behalf of the All Progressives Congress (APC) made certain statements, agitating against the appointment of the Honourable Justice Walter Samuel Onnoghen, JSC, as the next Chief Justice of Nigeria, upon the impending retirement of the current CJN. 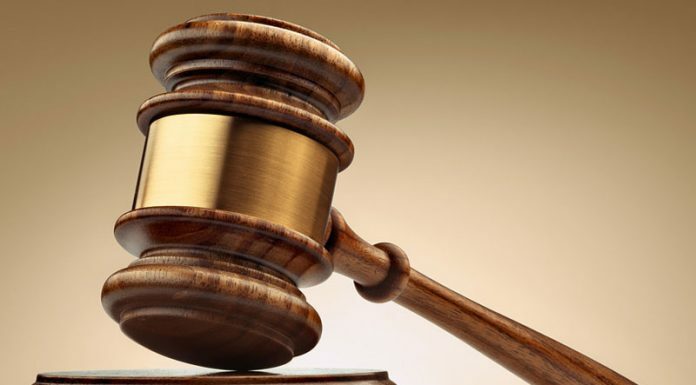 It is clear that the reporter of the piece has a motive to serve as the report tried to make some capital gains out of the office of the National Legal Adviser of the All Progressives Congress in bolstering his discourteous mission of making the UAC Roundtable a political mouthpiece for an alleged inglorious conspiracy against His Lordship, which I believe must have emanated from the imagination of the reporter. It is certain that the All Progressives Congress is a party that believes in the rule of law. The party plays no role in the appointment into the judiciary, much less the exalted office of the CJN, and neither do I have a role to play in the process. We believe in the judiciary and have confidence in Their Lordships. As a party under my legal watch, we have never chastised nor condemned the judiciary over any judgment and neither shall we ever tamper or interfere with the affairs of the judiciary. The insinuation of 2019 political calculation is far from the truth and obviously unveils the motive of the writer as a pawn in the hands of some political interests that are out to disparage the APC and its leadership. On a personal note, having appeared before His Lordship, the Honourable Justice Onnoghen several times, I have no reservation whatsoever about His Lordship’s ability to steer the ship of the judiciary positively. His Lordship towers above federal character Justice as sought to be painted by the writer. His Lordship does not need such primordial sentiment to be adjudged a suitable person for the office of the CJN. As the National Legal Adviser of APC, I reinstate the fact that the Party does not dabble into what does not concern it as it believes in the neutrality of institutions. The write-up is not only reckless but irresponsible and reduces our judiciary to a mere political institution. It is certainly aimed at pitching the Party, APC, against the judiciary and sought to be used as an object of blackmail, the intendment of which has failed on arrival as neither the Party, nor I have any role to play in the appointment of the CJN. Lastly, it was a write-up made without taking cognizance of the integrity of those involved. I use this medium to categorically state that such report is not only false but deliberately designed to serve certain purposes beyond the honest. 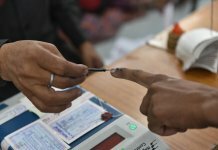 While the report said in one breath that the statement was made at a “press conference”, in another breath, it alluded to the statement having been made at a roundtable. It is sad that the writer of the story was not present at the UAC Roundtable but scooped news from some mischief sources. In the first place, I did not address a press conference but rather presided at a Roundtable, which theme was “Repositioning the Judiciary” at which more than 100 persons actively debated. 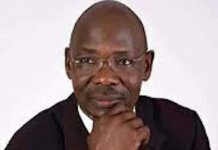 The programme was meant to be a precursor to a Public Lecture being organised for July 14, 2016 by the non-governmental organisation, UAC on access to justice. 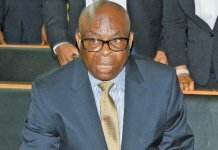 While many problems bedeviling the judiciary were considered by various speakers, no one made a recommendation that the Honourable Justice Onnoghen, should not be allowed to succeed the current Chief Justice of Nigeria nor that the tradition and guidelines for the appointment of the Chief Justice of Nigeria be jettisoned. In fact, the issue of the appointment of the CJN never featured at all in the entire session. The discussion, inter alia, riveted around the NJC Guidelines and Rules for the Appointment of Judicial Officers of all Superior Courts of Record in Nigeria, 2014 and the issue of appointment of Justices of the Supreme Court of Nigeria was debated within the context of the said Guidelines and Rules. At no point in time did anybody categorically or by insinuation recommend that the Honourable Justice Onnoghen should not ascend the coveted seat. It must be emphatically stated that one of the finest legal minds ever produced in Nigeria is the distinguished jurist for whom I have the highest regard. His Lordship is not only brilliant and erudite but enjoys the reputation of being upright. How on earth would someone agitate for the disqualification of such personality from the highest judicial service to the fatherland? Reading through the report, it is certain that the reporter had a purpose to serve than journalistic impartiality. Crediting such statement to me is most unfortunate. This pattern is unfortunate as few weeks ago we read a disturbing mis-reporting about Mr. Dave Ajetunmobi, who was reported to have said at the same event that Supreme Court Justices had become consultants and received bribes. Such a statement cannot be made in my presence without an immediate correction using my vantage position as a Senior Advocate of Nigeria. I am also bold to say that Mr. Dave Ajetunmobi made no such statement. To further confirm the writer’s insincerity, at the roundtable meeting, I specifically reiterated the need to ensure the independence of the judiciary at all times, particularly in terms of funding. In this vein, the roundtable meeting discussed the necessity to avoid any form of interference with the judiciary outside the clearly delineated purview of the Constitution. How would this be reconciled with a picture of interference advocacy as unscrupulously insinuated by the writer in his piece? Beyond doubt, the piece was written with an insalubrious purpose in mind. From the said publication, I come to the inevitable conclusion that the biggest problem Nigeria has, aside from corruption, is rumour mongering and gossip of which the piece completely epitomised.